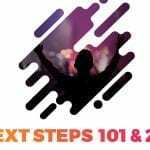 101 introduces who we are as a church and focuses on getting you up to speed about the vision of Generations. We’ll look at two of our four ‘rhythms’: Worship Faithfully and Connect Intentionally. 201 goes deeper into the heartbeat of Generations. We’ll dive into our other two rhythms: Serve Sacrificially and Give Generously. Childcare provided and a light meal provided.